Samsung just made a known approach regarding Winter Olympic in Sochi, Russia. As Samsung is associated with the Olympic Games they don’t hesitate to release their special Olympic Games Edition Galaxy Note 3 device. The phone is available only in Netherlands at this moment with no word on further availability. 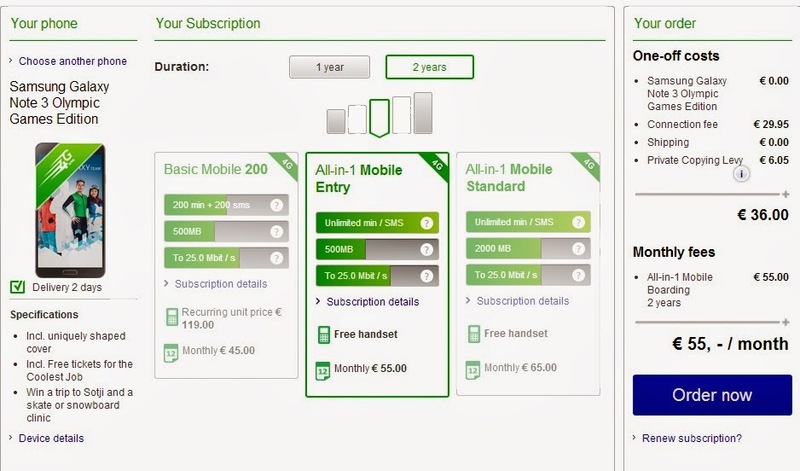 Dutch carrier KPN is now offering the device for free on contract. It’s a regular 2 years long contract with €45-€65/month cost. The Galaxy Note 3 is also the official handset of the Winter Olympic Games which will be handed to athletes and employees during the Games. The Note 3 Olympic Games Edition isn’t different from the handset’s regular version but it brings a special packaging along with an Olympic Games cover, tickets to skating sessions in Amsterdam Olympic Stadium or a jackpot to witness the Olympic Games live from Sochi.